Wow! I can’t believe we are at the end of our Star Wars Weekends at Home journey already. I have SO enjoyed following along with the action at Disney Hollywood Studios and I hope you have had a great time making some galactic memories whether at home or away. We’ve made cupcakes, met Darth Vader, scored some new popsicles and traveled to the beach. This week, we are diving into some ways to keep our adventures going as a family and maybe have a few laughs along the way. 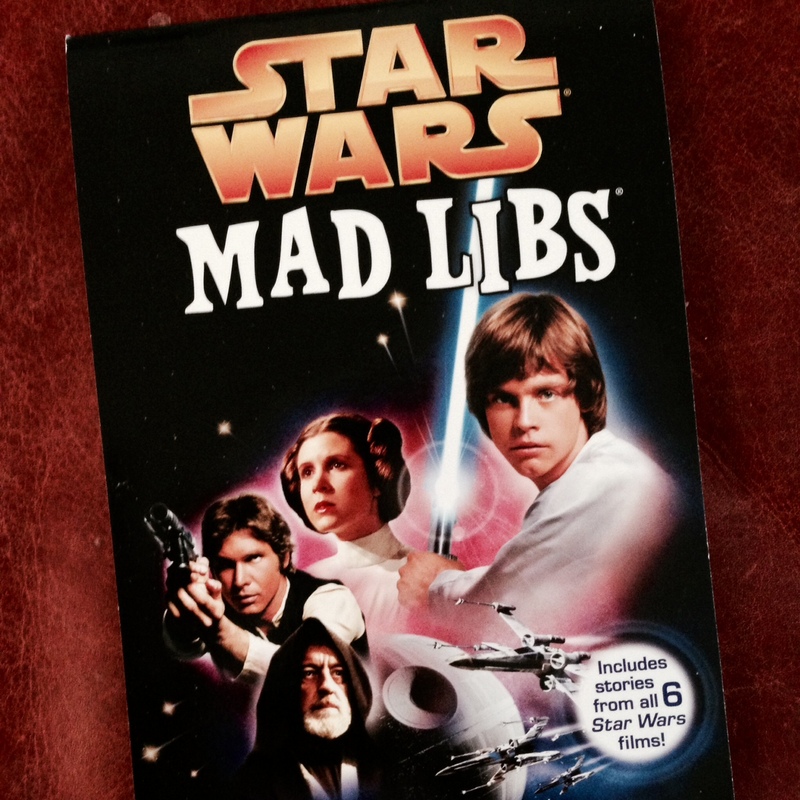 Star Wars Mad Libs? Why didn’t I think of that!? There is nothing that makes me laugh like a great game of Mad Libs. The other day as I was wandering around Barnes & Noble, I happened upon this Star Wars version! Buying it was a must at $3.99. But wait! There’s more! They even have a LEGO version. Oh yeah! Fun for the whole family. 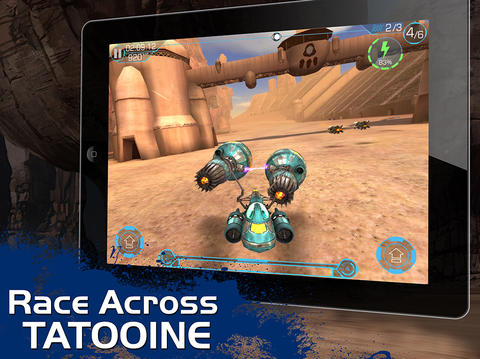 Disney released the first in a series of new apps this year called Star Wars Journeys: The Phantom Menace. At $4.99 on iTunes, I think this will be a really fun app to add to our collection. Along with an interactive story, I think Oscar will love the podracing game! According to Disney, this is the first of more Star Wars apps to come. I say bring em’ on! 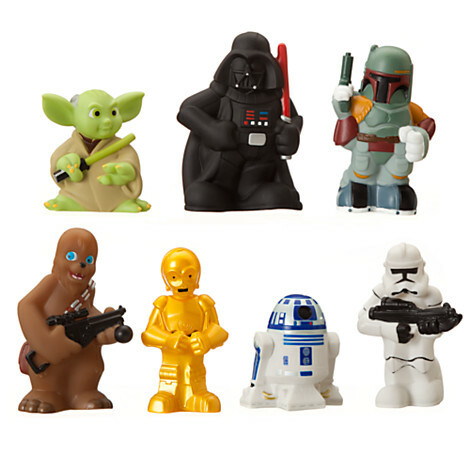 Even though our biggest fan is 5 and a half and partial to the dark side, Calvin loves playing along too! last year, I grabbed these adorable bath toys during a trip to Walt Disney World and they are perfect for little hands, inside the bath or out! I’m crossing my fingers that next year we’ll be spending Star Wars Weekends at Disney World, but I have to say, celebrating at home has been awesome! Oh and before you blast off…. Such great fun ideas, and your video is cute! My kids are Star Wars fans too. We went to the Star Wars Weekend last week, and I just posted about the costumes I made for them to wear on the trip. http://bit.ly/1itvghL 🙂 Hope you get to go next year. You will loooove it! Your costumes are awesome! We are going in October and it will be my son’s first chance to do the Jedi Training Academy. I hope he goes for it! Looks like you had a blast. The Jedi Training Academy is so fun! Wish it was for adults too, heh!